This story is a bit similar to drama (probably even more because of the same actor as Onizuka). Onizuka is transferred to other school which is far from big city. He has to take care of the troublesome class and show them that school is something interesting to experience. Similarity the most appears when one kid tries to commit suicide at the beginning and the end (they want to destroy some school building in the end again). But in the middle its a bit different and gets a bit more interesting. Also there appears some extra people like the journalist who actually tells the story, that brings a bit more fuzz and funny moments. I liked the moment kid was talking with the cow and Onizuka said “not very talkative isn’t she?”.. there are some funny and cute moments. And of course love wins in the end. But even if it was Onizuka still it didn’t leave that good impression as drama and anime did. Something probably was missing. Still great job showing some good points about relationships between people and family members. Don’t have a lot to say though. When i was looking for info and useful links of the movie I found a lot of them which are like a mix between movie and drama, like there is film picture but the description is drama’s or opposite, and so on. And also I found one site (link died) which tells a lot different story and I even didn’t understand which it wanted to describe. I think its a description about the start of the Onizuka which was (as far as I know) only in manga. So people just copy-paste even without consideration. That’s probably all I wanted to say. 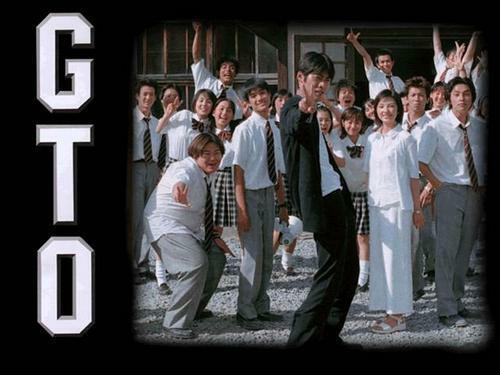 This entry was posted in Live Action and tagged 1999, Great Teacher Onizuka, GTO, Masayuki Suzuki, Tohru Fujisawa. Bookmark the permalink.